At Federal Cigar, we understand that choosing celebratory cigars can be as important as planning the menu and decor. During celebrations, both occasional and seasoned smokers will want to sample the complimentary cigars you provide. When you know each guest and their smoking habits, you will have a more exact count of the number of cigars to order. However, for larger groups, a good rule of thumb is to order enough cigars to accommodate at least 50 percent of those invited. Be sure to have some milder options available for the novice cigar smoker. Remember, friendly Federal Cigar tobacconists are happy to help you find special occasion and celebration cigars to suit your event, guests and budget. How Many Cigars Are Enough For My Special Occasion? …you’ll need about this many cigars. A cigar bar at any venue allows for the beautiful presentation of custom cigar packages for celebrations, in conjunction with cutters, lighters, and ashtrays. You can also make fine, handcrafted cigars available to guests as they are leaving the venue as a memento of the occasion and make some of the best celebration cigars. Rare cigars could be the perfect choice for the once-in-a-lifetime occasion or a smaller gathering. If you want a limited release or customized cigar box for a specific number of people, we can provide guidance as you plan ahead for this important purchase. 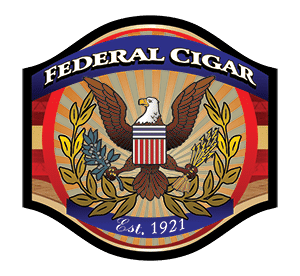 Federal Cigar has the expertise to help you offer custom cigar boxes and varied selections of cigars to your guests, which have a naturally grown and handcrafted appeal. This allows both the novice and experienced smoker to enjoy special occasion cigars. Ensure a pleasurable smoke for more guests by providing a variety of cigars in mild to medium strengths and several sizes that allow for balanced burning. We’re a neighborhood shop of knowledgeable tobacconists providing cigars for sale online to people in all walks of life. We’ll help you order custom cigar packages for guests, while staying on your event budget, today.